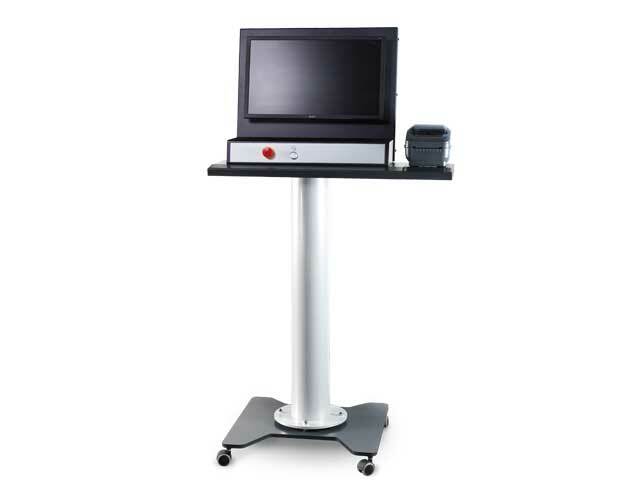 The simple design of the control panel and the clearly laid out menu guidance of the software control with a Windows based system, is intuitive in its operation. 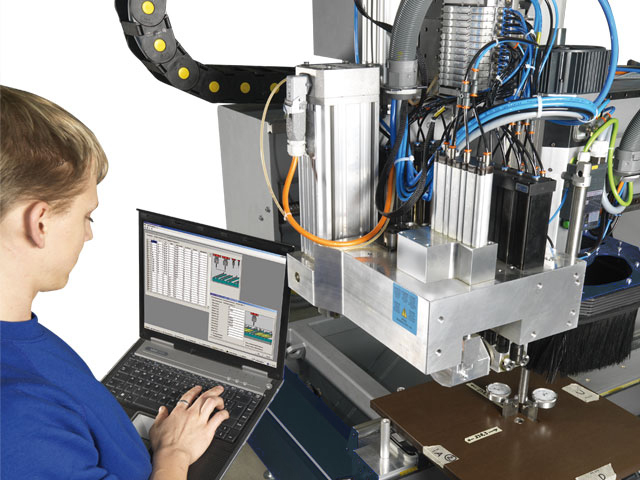 Connecting the machine control to existing systems or networks is of course possible. 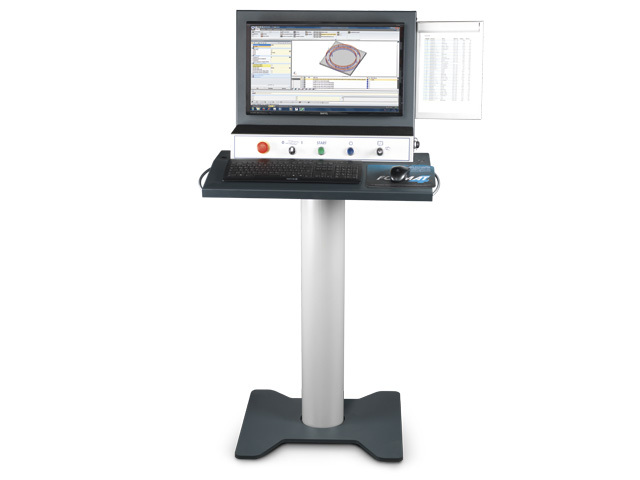 The H500 MT can be connected with various different CAD and CAM software. 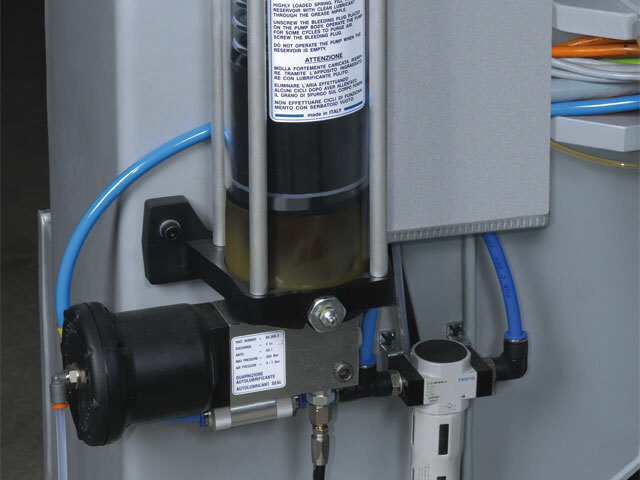 As an option, a label printer can also be added. 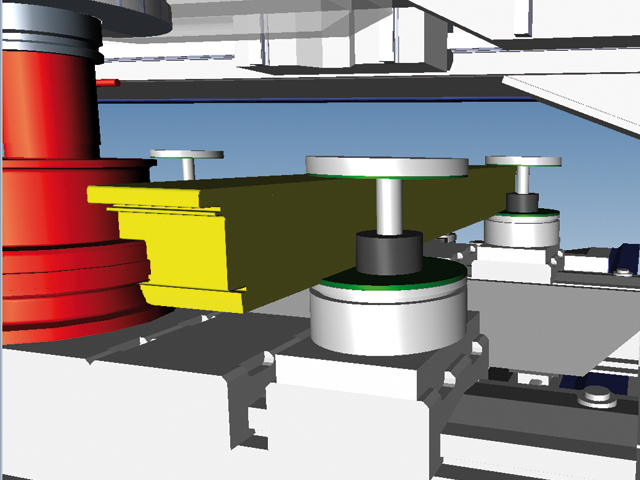 The stops can be build on the front or rear upon request. 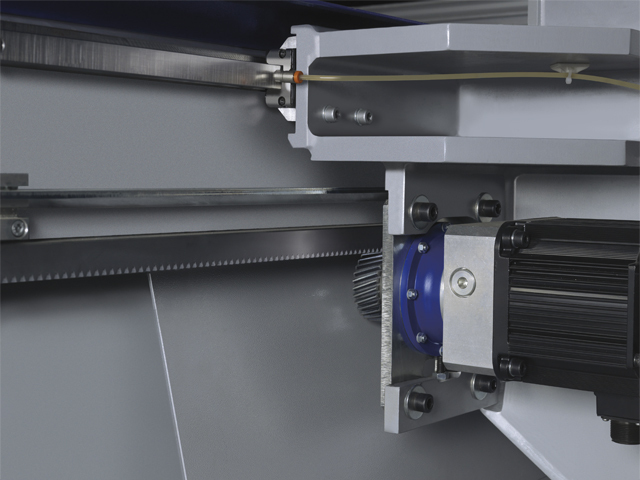 This ensures maximum operating comfort and additional flexibility when processing workpieces. 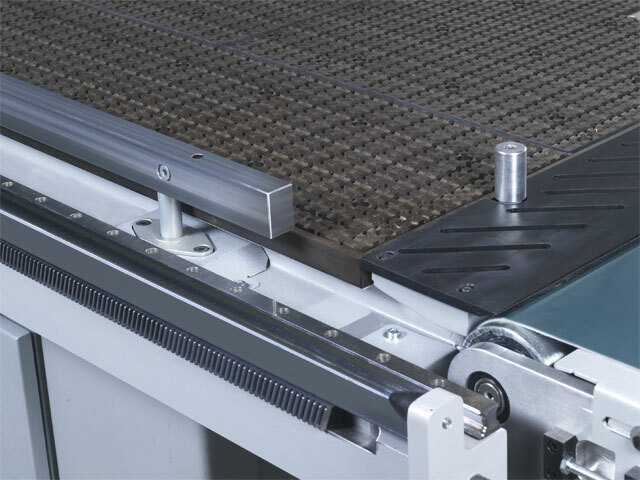 On automatic machines the continuous fences ensures a steady off load on to the conveyor belt. 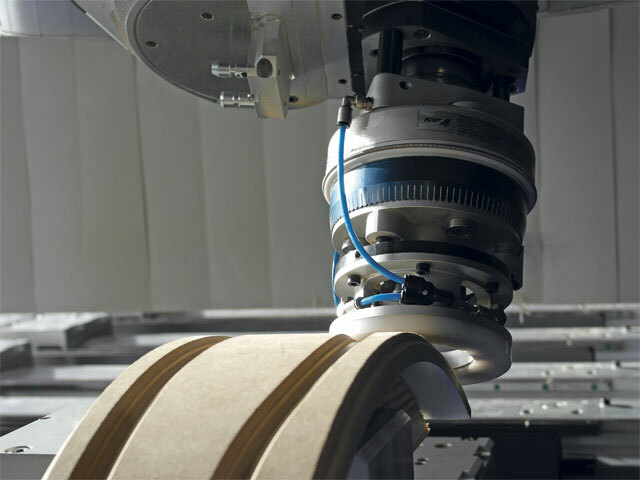 Mounted onto the main spindle to optimise routing. 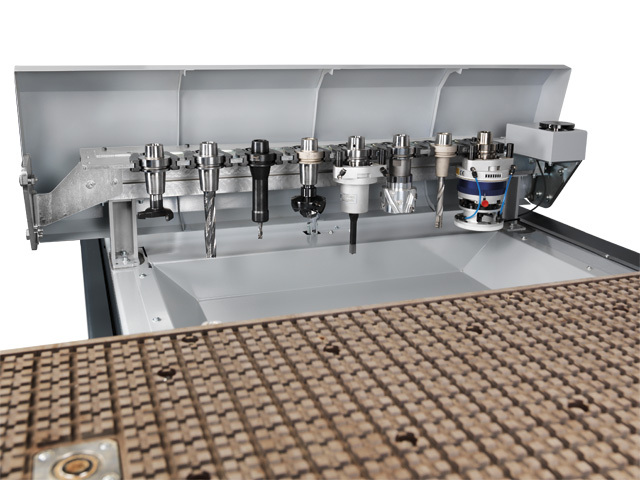 The matrix table made from phenolic resin offers not just process secure working of the materials, but also an optimal vacuum distribution for the fixing of workpieces. 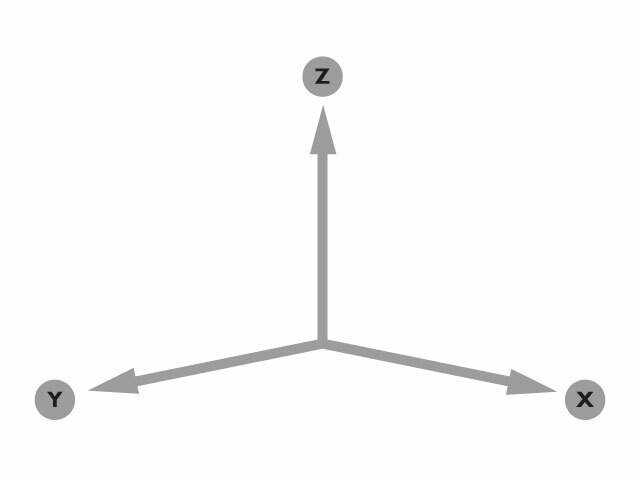 The maximum useable area is X=3720mm up to 5720mm, Y=1560mm, Z=325mm. 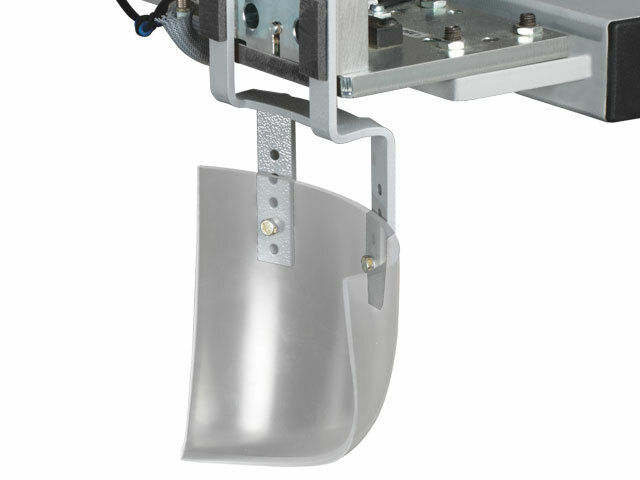 The machine is equipped with a full aluminium table with T groove as standard. 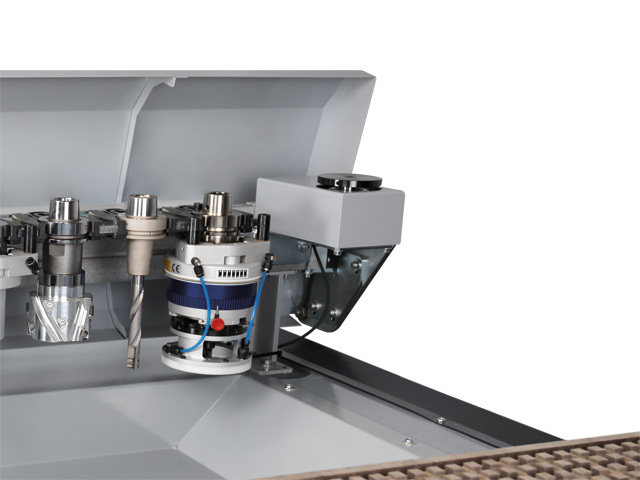 As standard the H500 MT offers an aggregate interface with a cardanic 5 axis head. 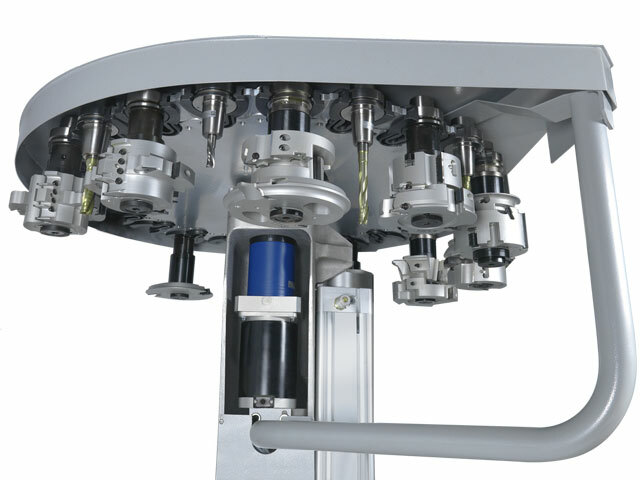 The rotary tool changer with 24 tool positions is mounted at the back of the outrigger and moves with the outrigger along the X axis. 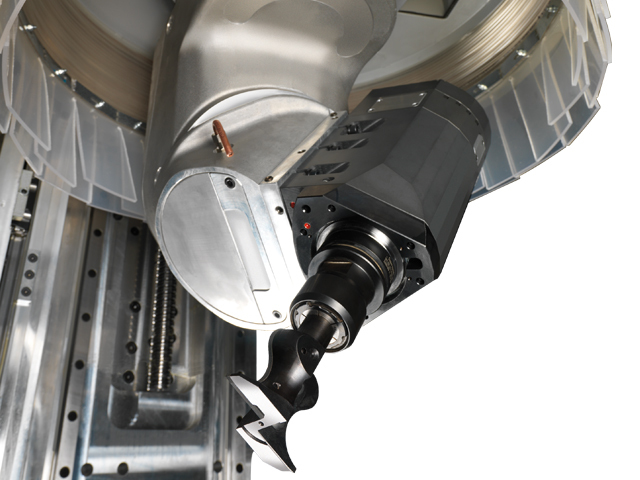 The 24 position rotating tool changer, keeps tooling changing times to the bare minimum. This makes the Format-4 even more productive! 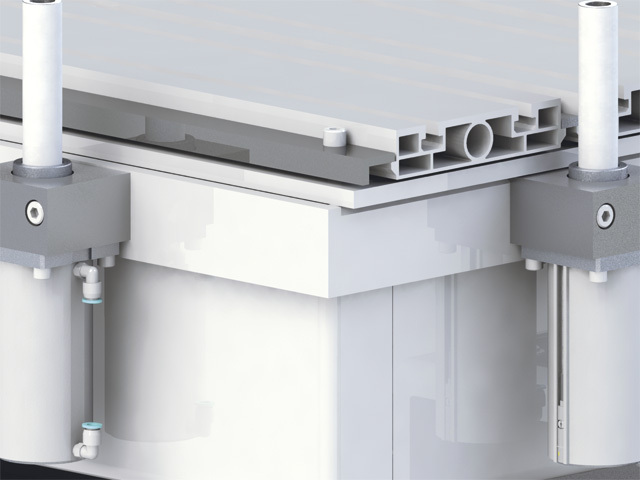 Air-permeable materials as well as small parts can be fixed with maximum holding force. 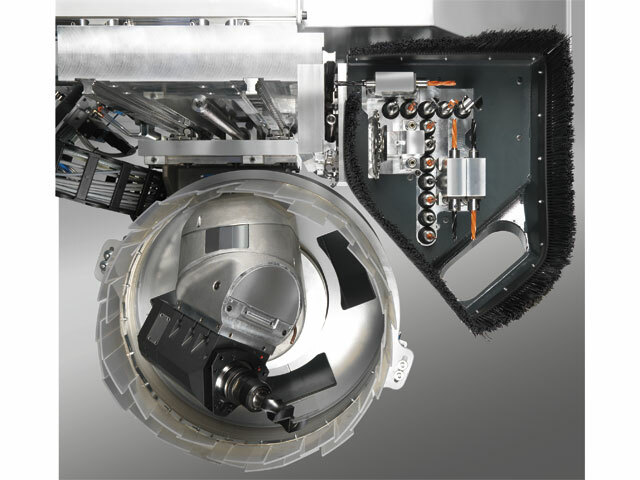 Up to 750 m³/h. 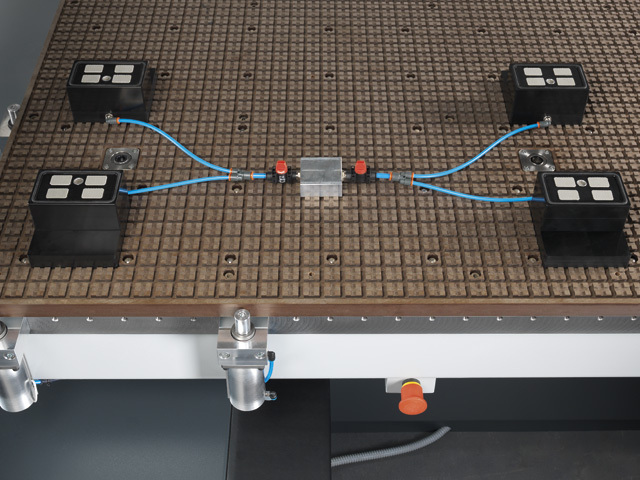 The phenolic resin table also enables the use of vacuum block pods. 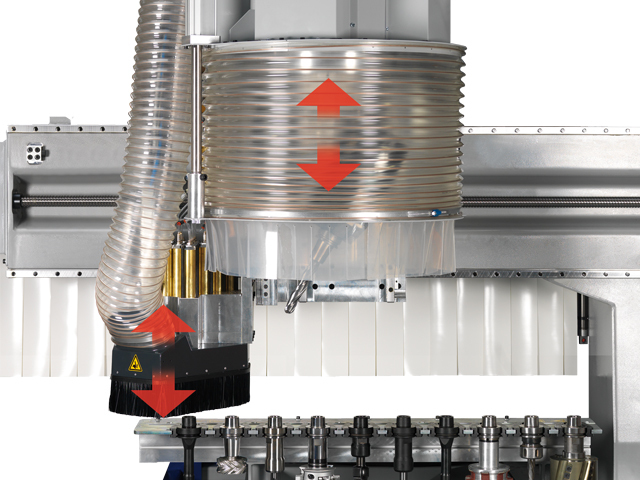 This gives the machine a whole new character and increases the variability considerably. 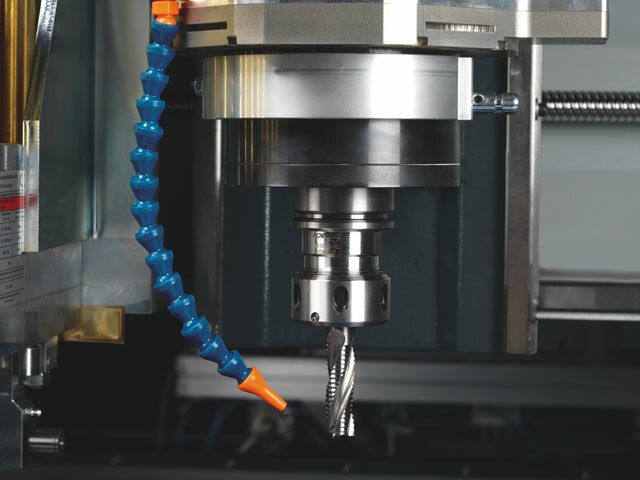 With this simple to use CAM Software, F4-Solid increases your productivity. 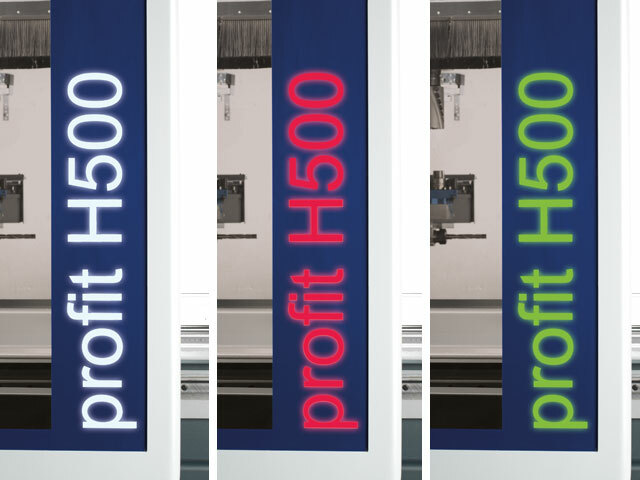 The label printer for the H500 MT can be mounted to either the operating terminal of the unloading table or on the standard control terminal if there is no space for an unloading table. 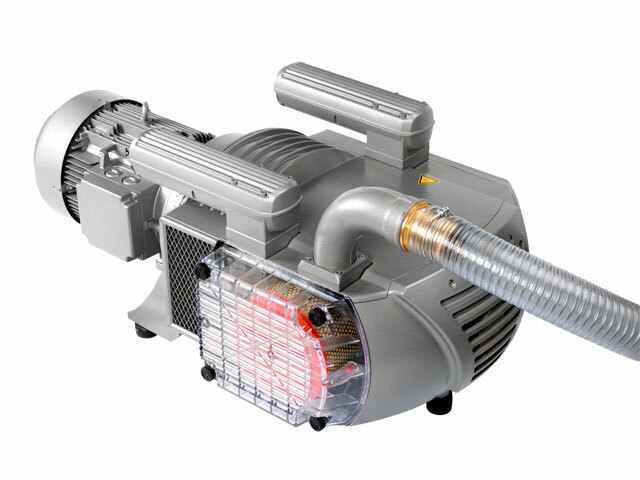 This makes the whole system flexible and allows it to be individually equipped. 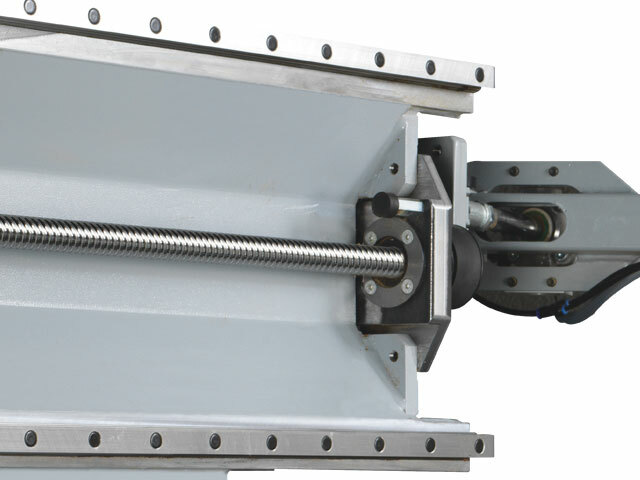 The aggregate carrier with 2 Z-axes enables the quick, alternating use of the boring unit and the main spindle. 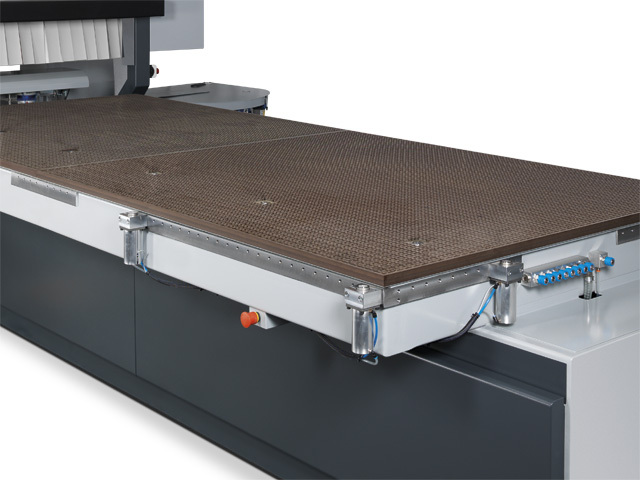 The distance in which the Z-axes can move is 505 mm, this allows the use of longer tools even when processing thicker workpieces.